Darjeeling: Prabin Sampang, the president of the Gorkha Janmukti Morcha's Tukvar GTA constituency, on Sunday resigned from his post, saying he did not believe in undemocratic movements. 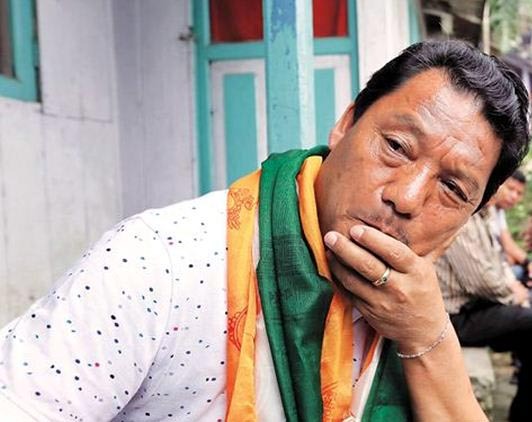 Tukvar is Bimal Gurung's stronghold and the resignation of Sampang, who was once considered close to the Morcha chief, could add to the leader's worries. In a written statement, Sampang has also criticised the Morcha's central leaders for failing to get anything concrete from the Centre. "Despite the people's immense contribution to the Gorkhaland cause during the 104-day strike in which many also laid down their lives, the party's central leadership could not achieve anything fruitful from the Centre," Sampang said. "Instead, the party has been directed to sit for talks with the state government and it is clear that it is of no use fighting the state government," said Sampang, adding that he was also of the belief that a demand could be fulfilled only through a democratic movement. Prabin Sampang, the president of the Gorkha Janmukti Morcha's Tukvar GTA constituency, on Sunday resigned from his post, saying he did not believe in undemocratic movements.